January is by far the most popular month when it comes to health and fitness. More gym memberships are sold during this month, more people hire trainers, more fitness products are purchased and weight loss plans are joined. But, it can be quite overwhelming. This year, why not try something new? I’ve decided I want to learn to SCUBA so I will be taking lessons this year! Scuba and water sports are a great way to get fit and area also great if you have injuries. Not into water sports? Try some new classes at your gym or a new yoga studio in town. The most important thing is to find activities that are fun, a diet that is simple and doable and make it a commitment. 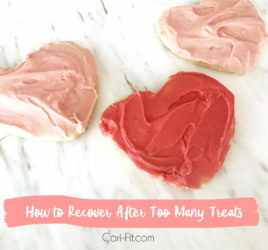 If you haven’t been able to commit to workouts before, you may want to read my post about timing your workouts. Below are some fun new products and gear that I will be using during 2013 and maybe they will inspire you to get started on your new (or improved) fitness journey for 2013! I just started swimming more regularly over the last year and I love it. 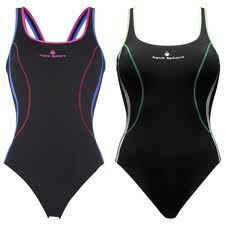 But, I have to be honest- most of the one-piece swim suits I’ve found have been less than flattering. That is until I came across Aqua Sphere. They have the coolest designs and I love the flattering fit. My two favorites are the Ursula (pictured) and Lima. Both have a flattering design including side contouring which makes your waist look much smaller. The fit is also great and doesn’t ride up or slip off your shoulders. They also make amazing goggles that fit super comfortable. As I mentioned above – I’m planning to get scuba certified this year! I’m starting with a PADI (Professional Association of Diving Instructors) online course and then they will set me up with a dive school in my area to complete the process. It seems pretty easy to setup – I just hope I can conquer my fear of claustrophobia! I’m a little partial to Oakley because I am one of their ambassadors. However – if I didn’t like the products that much, I wouldn’t be wearing them ALL the time. Just ask any one of my clients or friends – I wear their stuff 98% of the week! My favorites to workout in include the Runner Pant (pictured), the Peak Tank and the PRS Soft Shell Jacket will keep you warm when working out outside – but yet it’s flexible and easy to move in. I’ve been a fan of Oscar Blandi’s dry shampoo for awhile, so when I saw this kit – I thought it would be perfect for the gym. 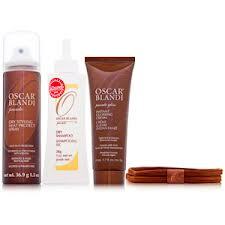 It comes with the dry shampoo, a heat styling spray and a finishing cream. I actually bought my parents one of these last year for Christmas because I thought it would be great for making soups, sauces and other liquid recipes. I assumed it would be good for smoothies too but had never tried it until a few weeks ago and it worked great! I was so surprised by how well it chopped up and blended the ice into my whey shake! 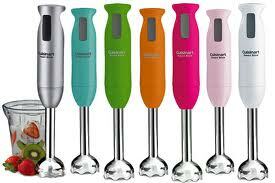 Best of all…it’s so easy to clean (unlike a huge blender). So, I just ordered one for myself! 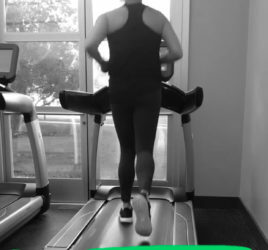 Interval training is one of the best (and most efficient) ways to lose body fat. Plus, it just makes the time go by so much faster! Every Tuesday we have “Tabata Tuesdays” at bootcamp where we do an entire class of Tabata Training. Not sure what Tabata is? Read Here. 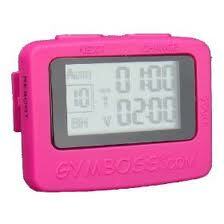 You don’t have to have the fancy Gymboss Timer (I do love that pink!) – but it makes it easier to time your rounds. You can also use your cell phone or other timer.